We’ve known the latest map for PlayerUnknown’s Battlegrounds was a snow map named Vikendi for a while now, but we had no idea when we’d actually get to play it. Now a new leak has shown that Vikendi will actually be playable as soon as tomorrow, December 7. The new PUBG snow map will hit test servers tomorrow apparently, along with the new ranked season 2 beta. Players will be able to get their first taste of the new map, and furthermore it looks likely that Vikendi will go up on the full live servers later this month – December 19, specifically. Presumably this information, along with the first trailer or gameplay footage of the PUBG snow map, will be shown off at the Game Awards later today. 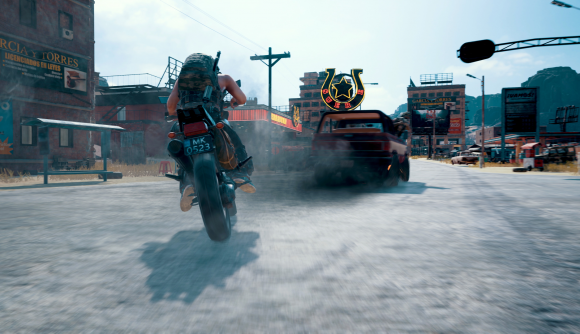 The official PlayerUnknown’s Battlegrounds Twitter account posted that “the time has come” and that we should tune in to the show. While it didn’t confirm what exactly would be shown at the Game Awards, it seems reasonable to assume that the Vikendi snow map will be making its first proper appearance. Vikendi (snow map) hits test servers Friday Dec 7th, as will the new ranked season 2 beta. Full release for both appear to be scheduled for Dec. 19th. The minimap for Vikendi has already been leaked, which looks like it will feature a dinosaur park, a castle, a hot springs, a lumber yard, a space base, and a frozen lake. We assume we’ll get our first proper look at PUBG’s new wintry map at the Game Awards later tonight.